Rosie at the Stanley Spencer Gallery Cookham, receiving her award on 19 May 2017. 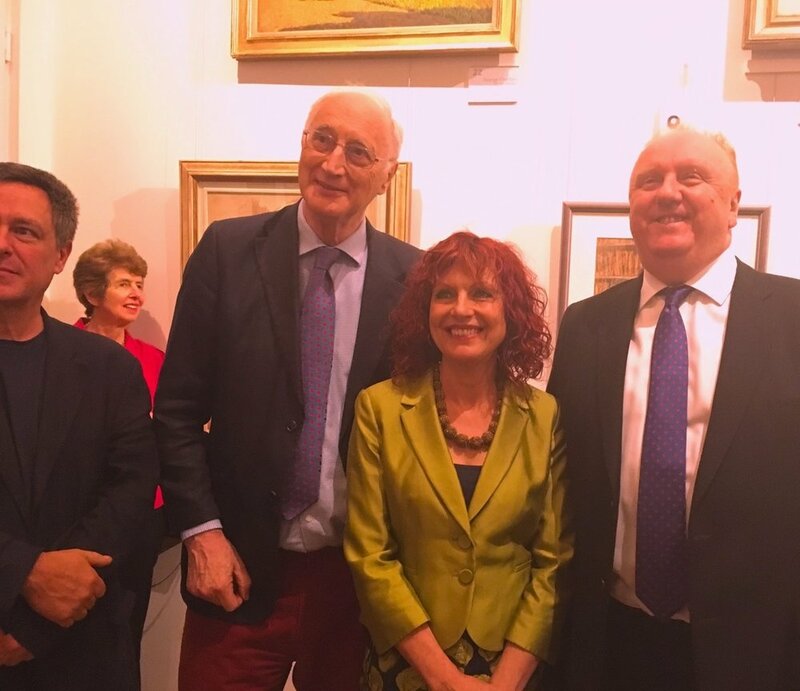 From l-r Spencer’s grandson John, Lady Young, Sir George Young, Rosie Jackson, Hugh Cawthorne, whose family kindly donated the prize. a dustman leaping into his wife’s arms. not ‘bird’ but swan, cockerel, grebe, quail, turkey. is all we need to know of paradise. everything known to be equally god. balm poured from seraphs in the guise of men. the lost embrace, words not said, love not made. the rapture of rolling away the stone. everyone in the crowd a plump angel.